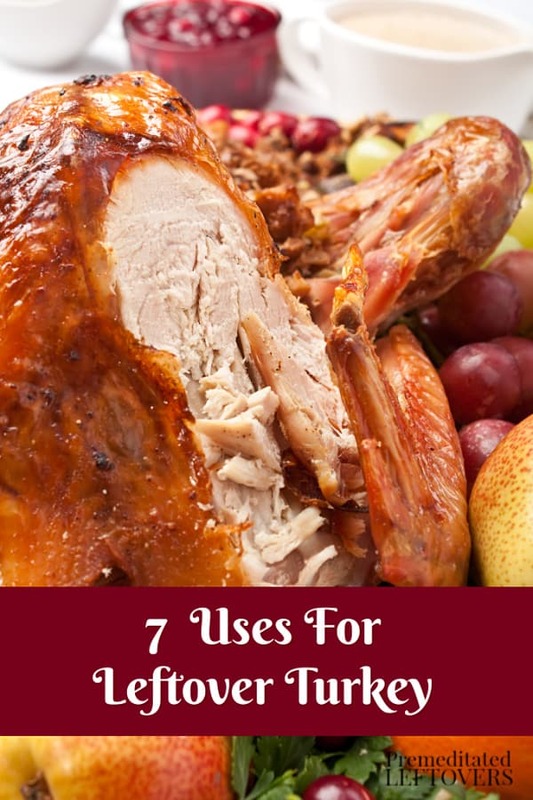 Don't let a single bite of that delicious leftover turkey go to waste this year, check out these 7 Uses for Leftover Turkey! Thanksgiving only comes once a year, but for most families, the turkey lasts long after. Unfortunately, though, a lot of those families don’t use the leftover turkey correctly and they end up wasting food. Wasted food is wasted money. If your family tends to have leftover turkey, don’t let it sit in the fridge and go bad! These are just a few of the uses for leftover turkey you can do so it doesn’t go to waste, you can find 10 more Leftover Turkey Recipes here. Turkey Sandwiches – You can never go wrong with this old standby. A leftover turkey sandwich with mayo and a tomato makes a perfect easy dinner or lunch the week after Thanksgiving. Not only is it tasty, but it’s frugal too! Try this Turkey Salad Sandwich recipe that will feed a crowd. 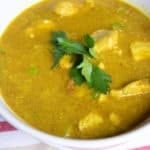 Turkey Noodle Soup – I bet you can’t think of anyone who doesn’t love a hot bowl of chicken noodle soup so why not use your leftover turkey to make homemade turkey noodle soup? Make it the exact same way you do your favorite chicken noodle soup recipe but use leftover turkey instead. 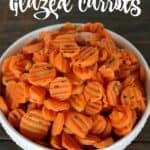 The best part about this is that it is freezer friendly, so you can make up a batch and save it for another time! Turkey Casserole – You’ve eaten tuna noodle casserole, but have you ever tried turkey noodle casserole? It is delicious! Much better than tuna casserole in my opinion. Make it the same way you make it using tuna but use your leftover turkey instead. Again, this is freezer friendly! You might also like this Turkey Vegetable Rice Bake. Homemade Turkey Stock – When you have used all the meat on your turkey, don’t throw the carcass away. Instead, add vegetable scraps and a tiny bit of salt to a large stockpot and cook it on low for a few hours. You’ll make a super-rich turkey stock that can be frozen for later use. Be sure to keep the neckbone for the stock as well. Here is how to make turkey stock in a slow cooker. Turkey and Stuffing – One of my favorite ways to use leftover turkey is to layer it in the slow cooker with cream of mushroom soup, milk, and stuffing. It makes a creamy, delicious casserole that feeds the whole family for pennies on the dollar. Freeze whole slices – Turkey, like chicken, can be cooked and frozen for later use. If you can’t find a recipe to use now or you would simply like a break from turkey, freeze it in airtight containers or freezer bags in slices, chunks or shreds. When you’re ready to use it in a recipe, simply add it to the recipe. Since it is already cooked, there is no real need to thaw it if you don’t want to. Cooked turkey will keep in the freezer for up to 3 months. 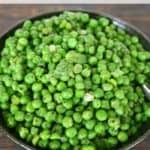 Make homemade pet food – If your family does not eat the turkey organs such as the gizzard and heart, cook them up in boiling water and add them to homemade dog food. Your dogs will love the treat and you won’t be allowing them to go to waste. If you don’t make homemade dog food, simply cook them and feed to your dogs as a treat! These are just a handful of the ways to use leftover turkey. Places such as Pinterest are full of different ideas and recipes. Each one of them keeps your family from wasting both time and money since you’re using every part of the turkey that you can.